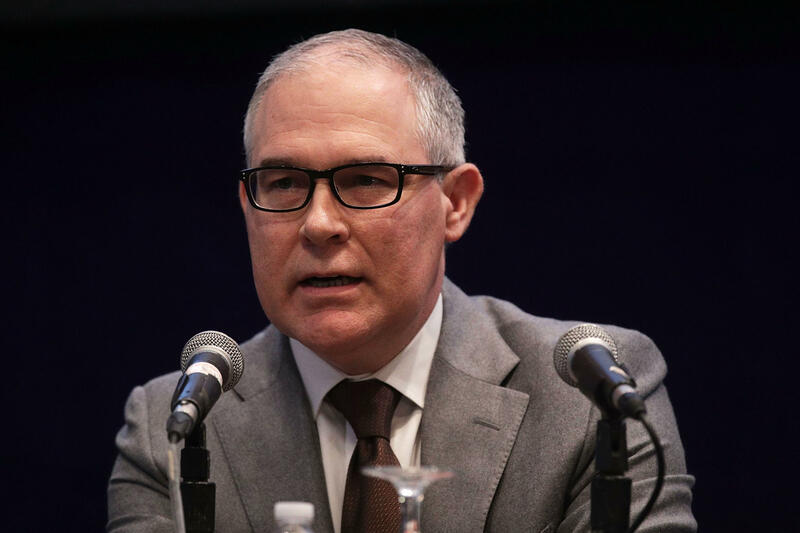 Environmental Protection Agency Administrator Scott Pruitt told CBS News chief White House correspondent Major Garrett there is a "change coming" in his security, which he claimed was the reason behind his controversial expensive travel. Pruitt told Garrett in the latest edition of CBS News' "The Takeout" podcast that he had been flying coach until receiving "unprecedented" threats, which led to a "threat assessment." "There's a change coming, because look the security threat matters," Pruitt said. "What I've told them going forward is this: There is a change occurring, you're going to accommodate the security threats as they exist, you're going to accommodate those in all ways, alternate ways, up to and including flying coach, and that is what's going to happen on my very next flight. So those things are happening right away." Earlier this week, House Oversight Chairman Trey Gowdy issued a letter to Pruitt demanding records related to his taxpayer-funded travel. Pruitt has said security concerns were raised after unpleasant interactions with other passengers. Sources have told CBS News that Pruitt regularly flies in first class along with his unprecedented, round-the-clock, security detail. On a return flight from Milan on June 11, Pruitt flew on Emirates Airlines, CBS News' Julianna Goldman reported earlier this month. Emirates Airlines' business class cabins are some of the world's most luxurious, complete with an onboard lounge that promises what the airline calls a "truly unique journey." Pruitt needed special dispensation to take the flight. Government officials are bound by the Fly America Act, which requires them to "use U.S. air carrier service for all air travel ... funded by the U.S. government." The entire trip cost more than $43,000, according to travel vouchers obtained by the Environmental Integrity Project. To make his departing flight to Rome on June 7, Pruitt flew on a military aircraft from Cincinnati, where he had attended a rally with the president. Pruitt insisted to Garrett there is a "legitimate security issue," saying the "threats I have faced are unprecedented." Pruitt said there had been four to five times the amount of threats against him than against the last EPA administrator. Pruitt said he was flying coach until a threat assessment. "There have been incidents in airports and those incidents you know occurred and they are of different types, but here what I really wanted to try to convey to you is that these threats have been unprecedented from the very beginning and that the quantity and type are unprecedented," Pruitt said. "You're gonna accommodate security threats as they exist, up to and including flying coach." Pruitt called outgoing communications director Hope Hicks a "wonderful individual" and a "tremendous asset" to the administration. He also called White House chief of staff John Kelly a "tremendous leader" and said he has made a "tremendous difference." As for the White House's handling of spousal abuse charges against former White House staff secretary Rob Porter, Pruitt said "those kinds of matters I don't follow as closely as you might think. John [Kelly] is someone who does things the right way."